When wrapping your next gift, why not make the gift wrap as much fun as the gift with interactive gift wrapping ideas. Anything from a race track to crayons and stickers can turn solid colored butcher paper into a one of a kind wrapping paper. 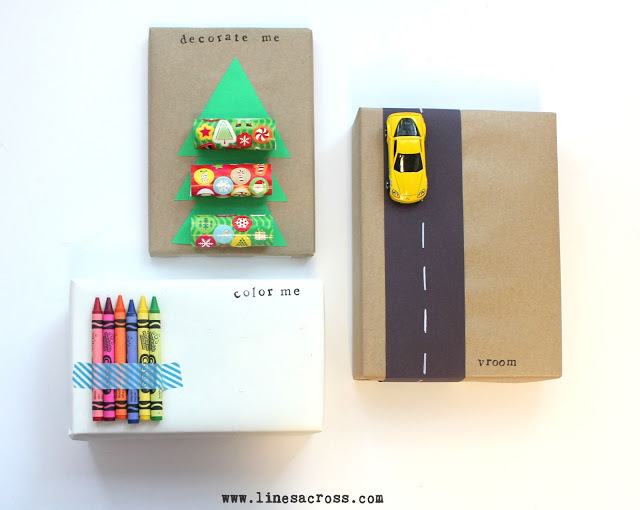 You can check out these ideas for interactive gift wrapping for kids over at Lines Across. Oh my gosh!! I love this idea! So cute and super creative!